042 - Gonville & Caius College. 090 - Captain Cook's Schoolroom Museum. 179 - Fir Lodge Preparatory School. 211 - St Helens School. 337 - Waitaki Boys' High School. 446 - Streatham High School for Boys. 449 - Stubbington House School. 573 - Roald Amundsen High School. 579 - Copthorne Preparatory School. 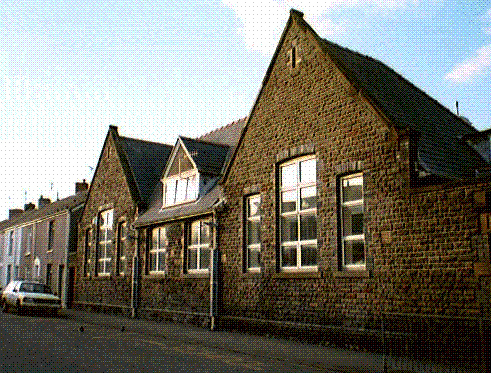 583 - Glyngarth School (now Farnley Lodge). 731 - Edward Wilson Room, St Georges Medical School. Edward A. Wilson's college flag. 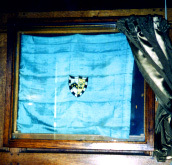 Mounted in a case with sliding curtain on the wall beside high table in the dining hall is a powder blue flag with the college seal. Wilson's sledge flag is illustrated in the 'South Polar Times' and in his 'Discovery' diary. This is not his sledge flag; rather, it is the Caius College flag that he took to the Antarctic and is mentioned in his 'Terra Nova' diary. See page 83 of the 'Terra Nova' journal and the accompanying note identifying the flag as one presented by the wife of the Master and taken to the Pole. "I also hung up my Caius flag, which Mrs. Roberts gave me." She was wife of the Master. The flag was taken to the Pole and presumably found in the tent at the last camp by the search party. 101 The High Street, Great Ayton, North Yorkshire, TS9 6NH, UK. School attended by Captain James Cook. "The move to Great Ayton brought Cook to a village which boasted a school. His father's employer, Thomas Skottowe, paid for James to attend the village school where he added arithmetic to his knowledge. The school is now the Captain Cook Schoolroom Museum which celebrates the life of Cook and the locality." From: Capt Cook Country Tour, 1994. 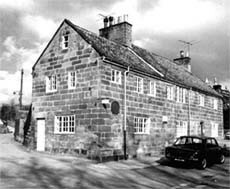 "The Schoolroom Museum in Great Ayton is housed in a building once used as a charity school which was founded in 1704 by Michael Postgate, a local landowner. It was here, between 1736 and 1740, that Captain James Cook received his early education. With the help of a Lottery Grant in 1998 the museum has been entirely reorganised. It now features a reconstruction of a schoolroom of the early eighteenth century, when teaching methods were very different from today.There are also interactive displays about James Cook's early life and education, and his later achievements." That a school in Leeds had been named for Oates was mentioned in Captain Oates; Soldier and explorer by Sue Limb and Patrick Cordingley (1982), but the Leeds tourist office and the Leeds library could find no trace of such a school. That a school in South America had been named for Oates was mentioned in Captain Oates; Soldier and explorer by Sue Limb and Patrick Cordingley (1982), but no trace can be found of such a school. Near Shackleton's house in Sydenham, UK. "In 1885 Ernest Shackleton went to the Fir Lodge Prep School 'a few hundred yards from his home' in Sydenham." "Entered Fir Lodge Preparatory School, Sydenham, under Miss Higgins (1885)." According to Jan Piggott, Dulwich College archivist, the school no longer exists. Vincent Street, Sanfields, Swansea, Wales, UK. Edgar Evans went to this school from age 6 to 13. There's a plaster head by Philip Chatfield and a framed photograph on display. Source: Swansea's Antarctic Explorer; Edgar Evans, 1876-1912, p100. The school is no more than a mile west of the center of Swansea. "Another heavy metal sledge, one of those used by Ranulf Fiennes, was given to a school in Yorkshire." Hall of Memories, Waitaki Boys' High School, Oamaru, NZ. "In March 1933 one of Scott's pipes was given to the school and in January 1939 Lady Maxwell, sister of 'Birdie' Bowers, donated to the school's Hall of Memories the pennant she had embroidered for her brother's sledge. 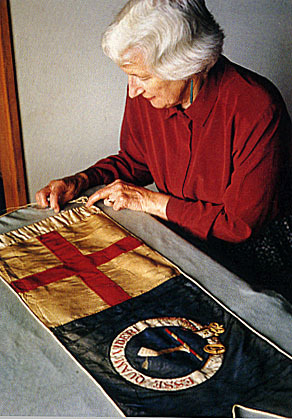 The pennant, 920 x 310mm, recently cleaned and framed to ensure its long-term survival, was expertly made in silk fabrics, with hand-stitched seams and finely-worked silk embroidery. It carries the red cross of St George, on a white ground, common to all the sledge pennants, and also, on a blue ground, the Bowers family crest--a leg pierced by an arrow, encircled by a belt, with the motto Esse Quam Videri ('To be, rather than to be seen')." Source: Church, Ian. Last Port to Antartica: Dunedin and Port Chalmers: 100 Years of Polar Service. There's also a Bowers sledge flag at the Scott Polar Research Institute, Cambridge. A recently established alternative private school with close philosophical ties to 'Outward Bound.' Name used with the permission of the Shackleton family. Streatham High School for Boys. School attended by 'Birdie' Bowers. "In January 1896 he [Birdie Bowers] was sent to Streatham High School for Boys ..."
No boys school of this name exists today. School attended by Robert Scott. "Then, at thirteen, he [Scott] was briefly at Stubbington House school, in Fareham--the recognized place for coaching towards a naval cadetship." School attended by Edward A. Wilson. Wilson was a day boy at Cheltenham College. The school has a collection of Wilson notebooks and watercolors. There's a "richly coloured stained-glass panel by Sir James Hogan installed in the College Chapel's 'Fortitude Window' in 1923. Bright spring sunshine streaming through illuminated the figure of Edward Wilson in full Antarctic gear, husky at his feet. The dog prompted the uncomfortable thought that if, instead of hauling their sledges themselves, Scott and his party had made greater use of huskies - as Amundsen did in beating them to the Pole - they might have survived." From an artcle by Diana Preston. There is apparently a painting by or of Wilson in the staff common room. According to Bob Headland, there is a telephone here that was used at Cape Evans. College Place, Snaresbrook, London E17 3PY, UK. School attended by Edward Atkinson. 53. Cartoon of Capt Oates and Edward Atkinson August 1910 by DGL (Dennis Lillie) from the Forest School, London. 108. Dr Atkinson�s sledging flag from Forest School, London. In a wood case. Tree in center. "In pectori robur"
Good sportsman... cricket,football, athletics, swimming, boxing. Memberof School Officer Training Corps... crack rifle shot. Boarder... took part in annual Shakespeare plays. Leading role in Debating Society. Went on to study Medicine at St. Thomas's Hosp. in London. Returned for Speech Day in 1913... when donated sledging pennant to Forest. Cartoon of O. and A. turned up at auction during 1980s. No other items at Forest, but archives do contain some secondary sources, including article by Adrienne Reynolds, in "Forest School 1834-1994", on A's role in Scott exped'n and his later life." 5110 North Damen Avenue at Foster, Chicago, Illinois 60625, USA. 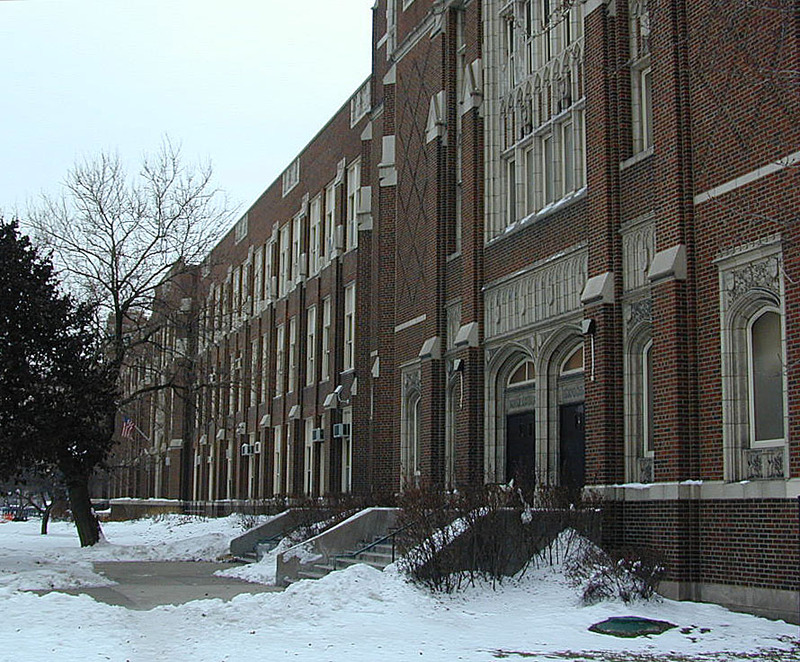 The Roald Amundsen High School was constructed over a two-year period (1928-1930) and named for Amundsen who had recently died. The community has a large Scandinavian population. It was built as a junior high. The mascot is a Viking. In a small conference room is a large painting of Amundsen modeled after the photograph of him. It is not signed but a small plaque says it was a gift of the Class of 1954. Effingham Lane, Copthorne, Crawley, West Sussex RH10 3HR, UK. "...memorial windows to Ted [Dr Edward A. Wilson] were installed at Cheltenham College and Copthorne School, Sussex." A small prep school about 8 or so miles NW of East Grinstead. The window is in the chapel. 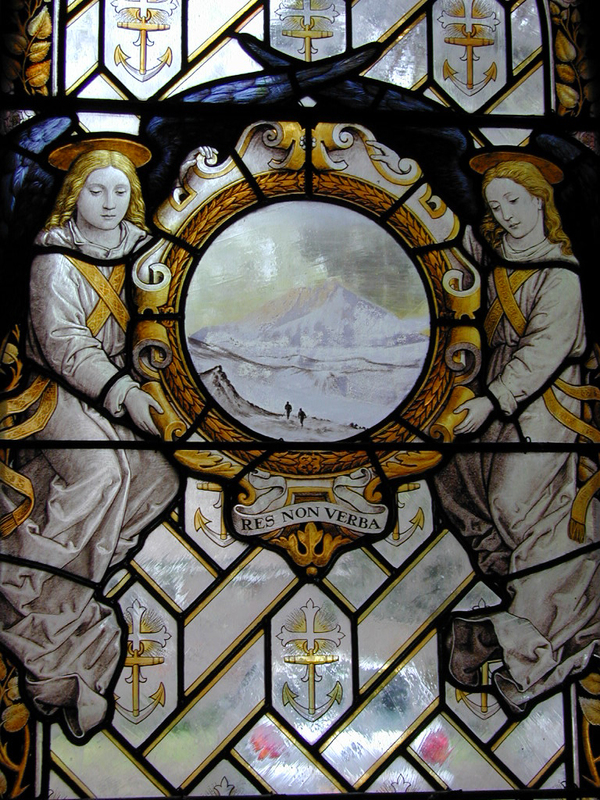 Beside it is a plaque that reads: "To give Glory to God and to honour a brave man | the members & friends of the School set this window here | in memory of Edward Adrian Wilson; his body lies far | away in the Antarctic, but his name shall live forever. | A.D. 1913." Postal Address: Apartado 18 1048, Lima, Peru. Names after Sir Clements Markham, father of heroic-age British Antarctic exploration. The British Educational Association of Peru was founded in 1945 in order to establish a school for the sons of Anglo-Peruvians and British expatriates working in Peru. The British Government, through the British Council, was a major contributor to the costs of building the school. As the number of people of British descent living and working in Peru declined, so the school changed in composition. Today, less than 10% of the school is non-Peruvian, but the school's British traditions operate as strongly as ever. The Warden is an overseas member of The Headmasters' Conference of the United Kingdom and over one third of the staff are contracted from Britain. The first students entered Markham College in March 1946. By 1978 it had grown to about 1200 pupils and it was necessary to acquire a second site in Monterrico. 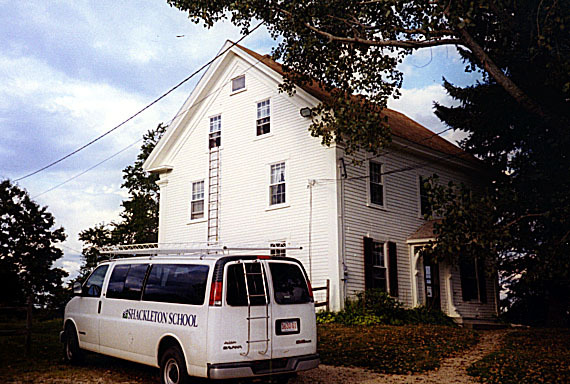 The transfer of the Lower School to this site began in 1979. There are now about 1650 pupils in both schools. Pupils enter the school at the age of 5+ and transfer to the Upper School at the age of 11+. All the school buildings are purpose built and surrounded by playing fields and attractive gardens. The schools are equipped to first world standards with a full range of general purpose classrooms, specialist teaching rooms and laboratories. The curriculum is a blend of British and Peruvian requirements. Just over half the curriculum is delivered in English with that proportion rising to as much as 70% in some sections of the Upper School. All pupils are entered, as they proceed through the Upper School, for various levels of the University of Cambridge's EFL examinations and for its International General Certificate of Secondary Education (IGCSE). More able students, who wish to do so, by-pass this examination and proceed straight to the International Baccalaureate (IB). Those who have not opted for the IB spend their post-IGCSE year following a tough National Programme course designed to prepare them for entry into local universities. Approximately 95% of each Promotion proceeds to University either in Peru or abroad. In 1992 the school became co-educational with girls being admitted, in roughly equal numbers to boys, with each new intake. Girls wishing to study for the International Baccalaureate are also admitted to the Upper School from age 14+." Glyngarth School (now Farnley Lodge). Douron Road nr Christchurch Road, Cheltenham, Gloucestershire, UK. School attended by Edward A. Wilson for five years. Colinette Road, Putney, London SW15, UK. School attended by L.E.G. Oates. Unlikely to still exist. Colinette Road is one block long between Upper Richmond Road and Howards Lane, therefore very close to the Oates' house (which no longer stands). The school issued a pamphlet on Oates around 1972 according to Michael Rosove's Bibliography. Edward Wilson Room, St Georges Medical School. Second floor, Hunter Wing, St Georges Medical School, Tooting, UK. Medical School attended by Edward A. Wilson. 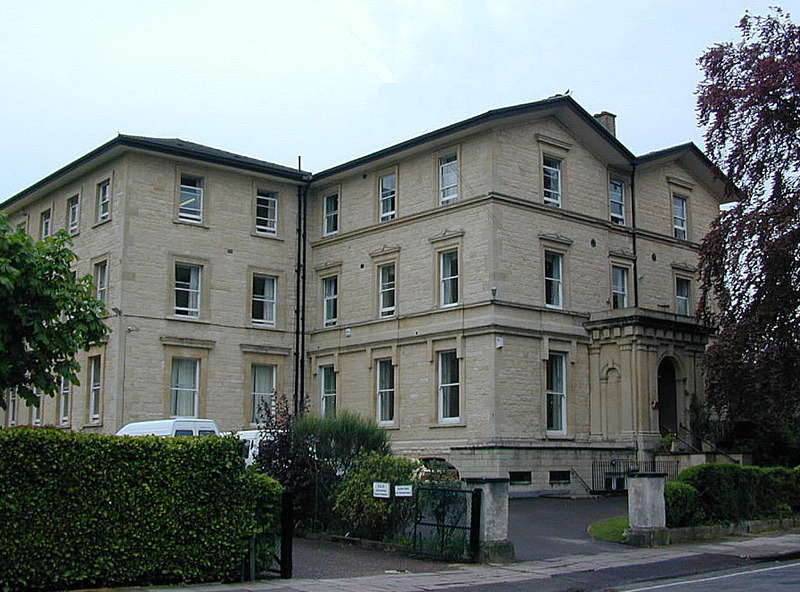 "The Medical School was established 1834 in Kinnerton Street and was incorporated into the hospital in 1868. The Medical School was built in the south-west corner of the hospital site in Hyde Park, with the main entrance in Knightsbridge and the back entrance in Governor Crescent Mews." The building that Dr Wilson would have know is now the Lanesborough Hotel at Hyde Park Corner. "The Wilson Room holds almost a full set of the Wilson Prints that were issued in 1913 and re-issued in 1930. These probably date from 1913. Many of them are rather faded. There are a couple of signed Ponting photographs. There is also a very nice photograph of Uncle and the Hospital rowing team (which I hadn't seen before), a 1930s photograph of Aunt Ory (or was that in the archive, I can't remember--there are bits and pieces there too). Alas, however, only one original drawing. A beautiful one of Knightsbridge. I am reproducing the photo and the drawing in the new book. All of the Hospital's originals have either been thrown away, lost or stolen, including all of the original pathological drawings done for the Museum. When the Hospital moved a good deal was thrown away or stolen. The painting of Hyde Park Corner from the roof of St. George's (in Seaver) was rescued by a cleaner from a skip and sold to Harry King! At any rate, it is a lovely memorial room--but not a huge collection of originals. They are all gone . . . Still--it's worth a visit." E-mail from David Wilson 29 September 2004.